The Theme doesn't support Shopify Section Functionality. We offer you to configure it with best solutions. 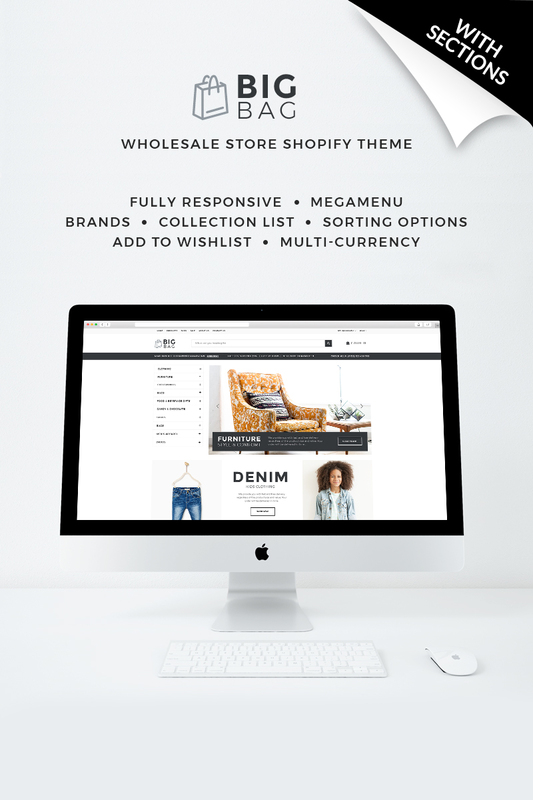 With our template, you will be able to assemble the best wholesale store website out there! We offer you a responsive, highly customizable design that will always satisfy your customers! With Google fonts, you are able to find the perfect text style for your website. Want to share a photo with customers? Setting up galleries has never been easier! Feel like sharing your thoughts with customers? You can always write via the personal blog. With our template, your website is bound to have a high rate of customer retention. Your website will be available everywhere in the world, on all known devices. The template is ok but the post-sale support that I received from &quot;Martika&quot; was the worst ever. She was rude and clueless. Good product bad Post-Sale Support.